If Lijo Jose Pellissery’s Angamaly Diaries looked slick and sharp, then editor Shameer Mohammed had quite a lot to do with it. If Lijo Jose Pellissery’s Angamaly Diaries looked slick and sharp, then editor Shameer Mohammed had quite a lot to do with it. Five-films old Shameer assembled the flurry of scenes (read 200 hours of rushes) into a neat and precise narrative, ensuring an unobtrusive stream of events.“I would rather say unedited. Viewers shouldn’t feel the editing process. It should flow naturally,” he says. As for Lijo’s movie, which is fast turning into a cult classic, Shameer says he just had to ensure that it was all clean cuts. “Angamaly Diaries was about being realistic. You didn’t need drama. It should look organic, and I just did that. Besides, Lijo was clear about what he wanted. We knew what the output had to be. This kind of creative freedom can push you to come up with the best,” says Shameer. But, things were not so easy as it seemed. Shameer was simultaneously doing Oru Mexican Aparatha, a high-voltage campus political drama. “It just got too messy inside my head. I watched a lot of movies to keep my mind off both. Only with a clear head could I handle these two extreme projects. So, I began to do Angamaly Diaries for days together, then switched to Oru Mexican Aparatha. But, all the efforts paid off when I watched them both doing extremely well in theatres,” says Shameer. While Shameer is one of today’s breed of editors who shun gimmicks and special software for a ‘au naturel’ look, he does harbour a penchant for editing stunt sequences with lots of drama in it. And, this took him to Chennai and Mumbai for Singam 3’ and Gabbar is Back. “When I was an assistant editor, it was stunt choreographer Kanal Kannan who took me to spot edit an action scene. I loved it instantly and learnt a lot from those visits. For instance, the punch shot will be repeated in four frames. Initially, I used to edit it out and keep a single frame. But, later, I noticed that keeping all the frames would add to the impact, and the viewer actually doesn’t notice the repeat,” he said. His association with stunt choreographer Stunt Silva took him to Telugu too. But, how different is editing action in other languages? “I try to keep the drama it requires. In Malayalam, everything is realistic, while Tamil and Telugu are all about defying gravity. An editor should gauge the taste of an audience and act accordingly,” he adds. 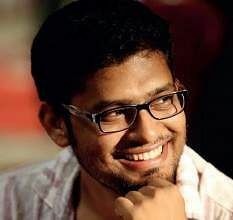 Shameer Mohammed is now working in B Unnikrishnan’s Mohanlal-starrer Villain. “I am doing Thrissuvaperoor Kliptham as well. It is all spot editing these days. We edit the rushes of the shots that day itself. So, the schedule is packed,” he signs off.